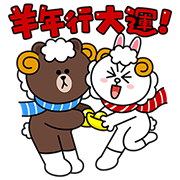 http://www.line-stickers.com/ – Taiwan Happy Chinese New Year Line Sticker | The LINE stars are here to say Happy Chinese New Year! 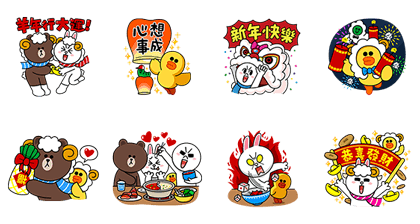 Friend LINE Taiwanʹs official account to get the set. Available till March 9, 2015.